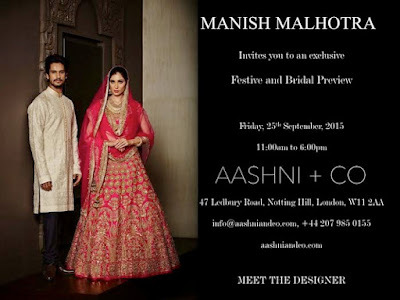 Fashion fans in London and the rest of the UK, here's a date for your diaries: On the 25th September, Indian designerwear store Aashni & Co are hosting a "Designer's Day" with Indian designer (and friend to many of Bollywood's leading ladies and heroes) Manish Malhotra. 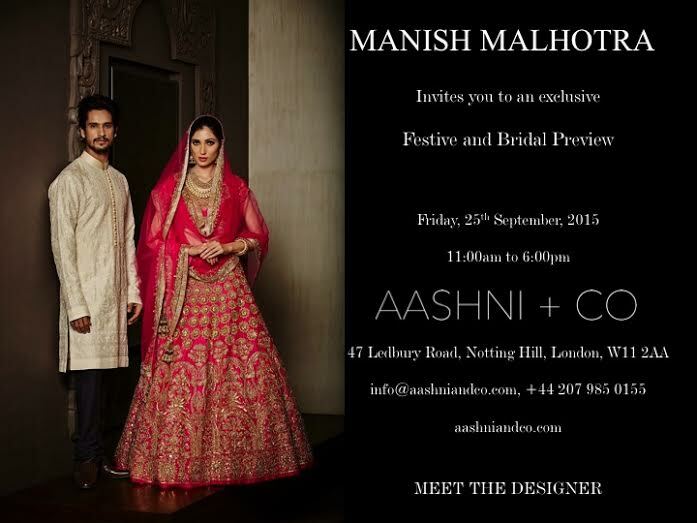 From 11am – 6pm that day, at Aashni + Co (47 Ledbury Road, Notting Hill, London W11 2AA) you'll be able to browse Manish Malhotra's festive and bridal collections and meet the designer himself. 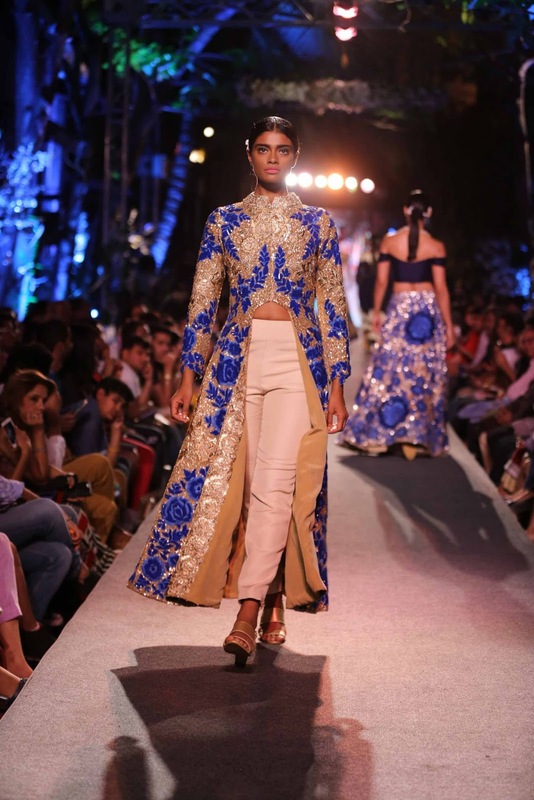 I follow Manish Malhotra on Twitter and you get such a great insight into just how busy this man is, with collections for the major fashion weeks in India, shows in different countries, designing costumes for films, dressing celebrities for red carpet events and weddings! 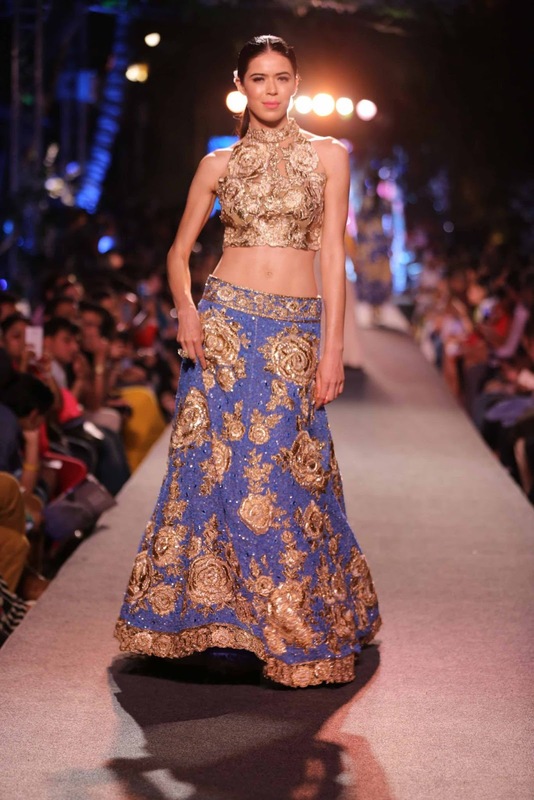 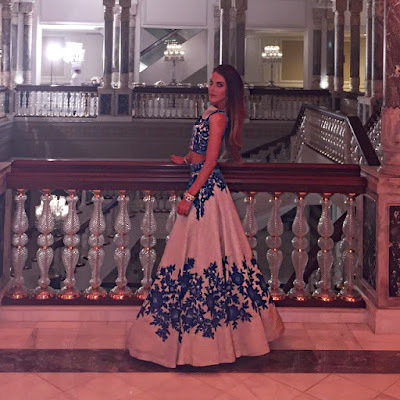 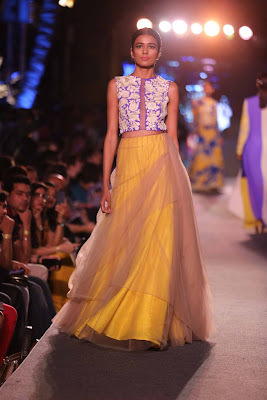 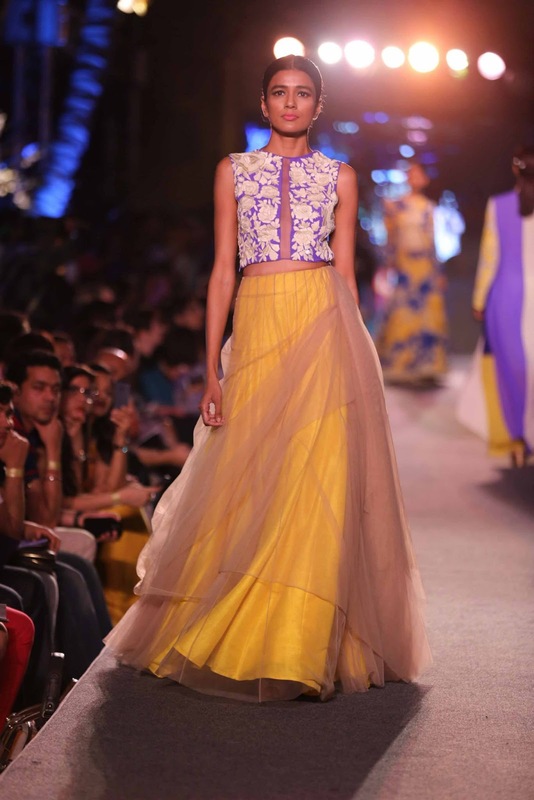 Of Manish Malhotra's collections so far this year, my favourite has to be the Blue Runway collection, which was showcased on the catwalk at Lakme Fashion Week in March this year. 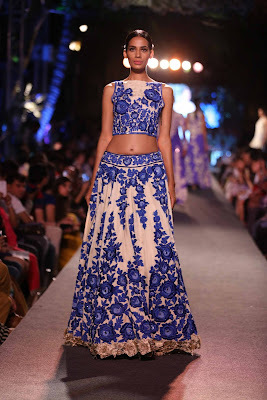 As you can imagine, with a collection called "The Blue Runway", blue was a key colour for this show and I love the combination of blue, white, gold and the big floral designs. Off the catwalk, the new Mrs Shahid Kapoor - Mira Rajput wore one of these outfits at their wedding reception. The super stylish Victoria Baker-Harber (from Made in Chelsea) also picked this collection for an Indian wedding she attended. 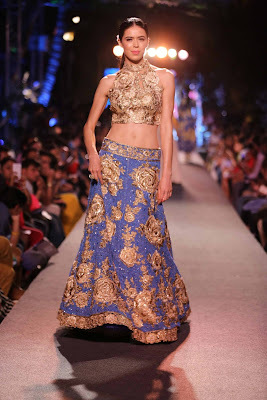 For more info on Aashni & Co's Designer Day with Manish Malhotra, visit Aashni & Co's FB page.